Though sodas can satisfy the common craving for a carbonated tonic, they are not typically thought of as the healthiest choice for an aging adult’s regular consumption. 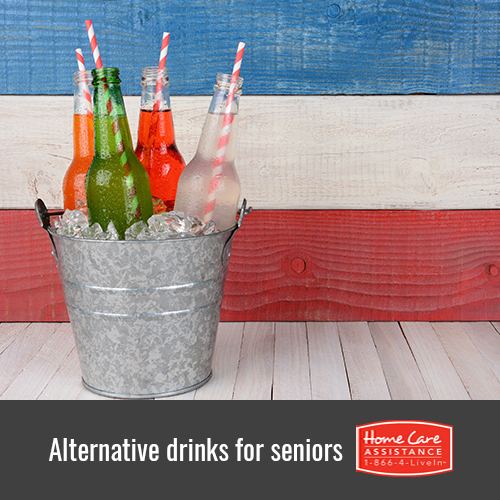 However, there are many other drinks that can provide healthful benefits for your senior loved one and keep him or her refreshed. The staff at Home Care Assistance, a trusted provider of in-home care in Guelph, has put together a list of healthy beverages your loved one can drink instead of soda. Water may seem like too obvious of a choice, but there is good reason for its inclusion on this list. Not only is drinking water essential for survival, but it also fights dehydration, which can lead to dry mouth, fatigue, and headaches. It also helps cleanse and flush the kidneys, helps combat constipation, and promotes intestinal comfort. the body that can damage healthy cells. Studies have shown this natural drink can help alleviate diabetes symptoms and reduce the risk for certain cancers. Although some seniors may not be too concerned with their weight, this tea can also help those with metabolic syndrome take off some excess pounds. cells, it needs calcium to fight brittle bones and reduce the risk of fractures. Nonfat milk contains plenty of calcium, and it is also full of vitamin D, which keeps the immune system strong and helps the body absorb calcium. Milk comes in several varieties, and if your loved one is lactose intolerant there are other choices like soy or rice milk. Made through the fermentation of red grapes, red wine is full of a plant-based chemical called resveratrol, which aids in lowering bad cholesterol. Resveratrol also has also been shown to decrease age-related memory loss and block the creation of new fat cells. Drinking red wine reduces the constriction of blood vessels following a fatty meal, which can lower the risk of a heart attack and atherosclerosis. If your loved one could use some help maintaining a healthy diet, turn to Home Care Assistance. Our caregivers can go grocery shopping, prepare healthy meals, and provide emotional support for seniors making significant lifestyle changes. 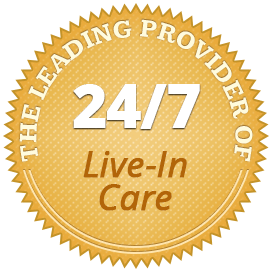 We also offer comprehensive Alzheimer’s, stroke, and Parkinson’s care in Guelph. For more information on senior nutrition, call one of our friendly Care Managers today at (519) 954-2111 to schedule a free consultation.